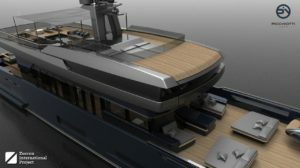 Zuccon International Project and Picchiotti Yachts together for the first time. 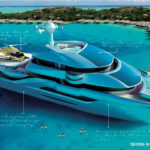 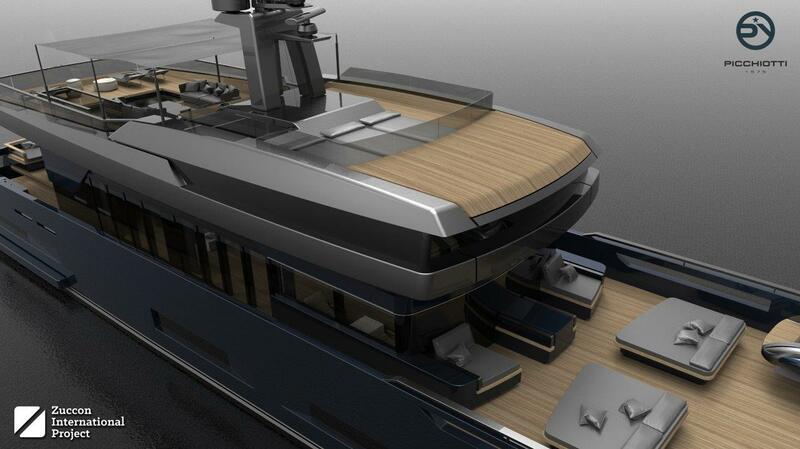 The yacht’s dual purpose defines its design language. 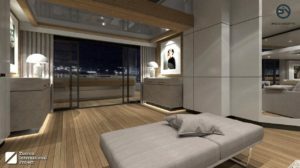 The designer has worked to recall the classic and elegance of the lines for which Perini Navi and Picchiotti Yachts are renowned, while also incorporating an innovative approach to allocate outdoor areas for water toys. 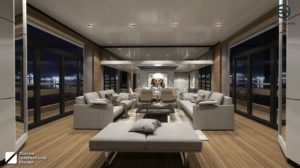 The outdoor areas become extremely liveable and, when the tenders are in the water, the bow portion of the main deck becomes a large lounge area that blends in seamlessly with the interiors and the bow cockpit, creating a unique and completely unencumbered space dedicated entirely to entertaining guests. 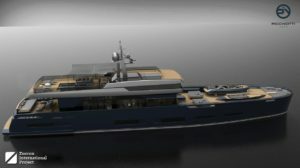 – PY Heritage can carry a 9-meter tender and a sailing boat of the same length in the bow area of the main deck, plus two jet skis. 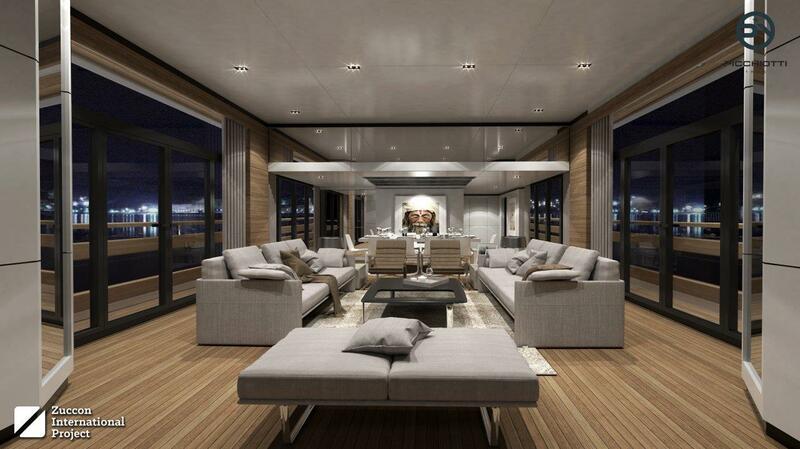 Launching the tenders frees up this space, which becomes a vast lounge area. 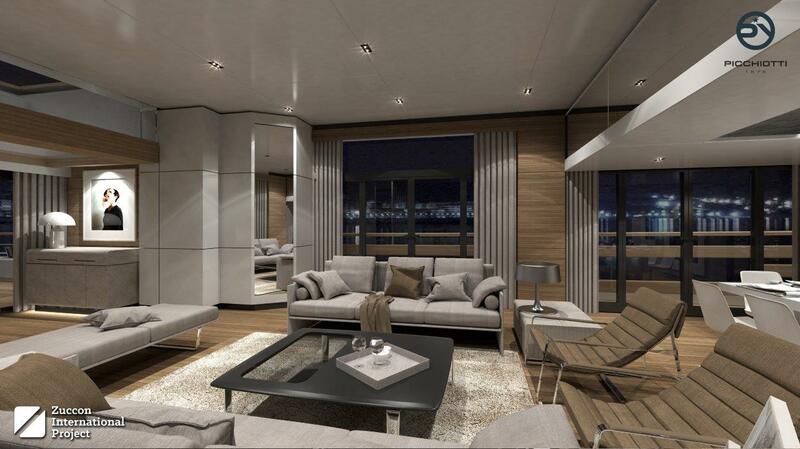 – PY Heritage has extremely generous interior volumes, with some unusual design features (e.g. 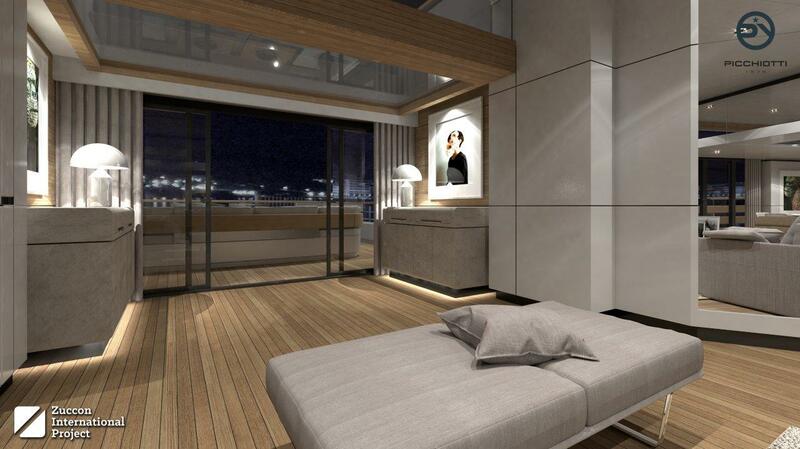 three meters of height clearance throughout the main deck). 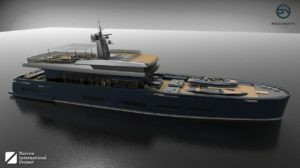 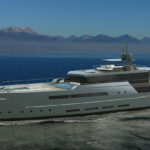 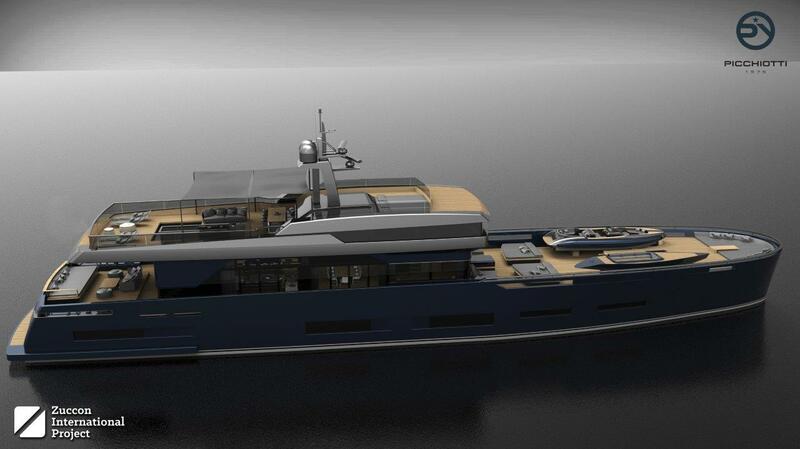 – PY Heritage 45 M is a concept project that Picchiotti is presenting to its customers.